Plants on Deck 2016 has arrived! Not that there’s a deck in sight, friends. Tennessee spring is gorgeous. After 20 years in Philly where the seasons went like this: Snowmageddon to blink-you-missed-it-spring to hotter than hell to freezing rain, I’m easy to please. This Zone 7, unlike our previous one, actually has seasons. And they’re all pretty spectacular. The parsley and thyme are back in business, the tarragon is making a comeback and the oregano is spreading like kudzu. 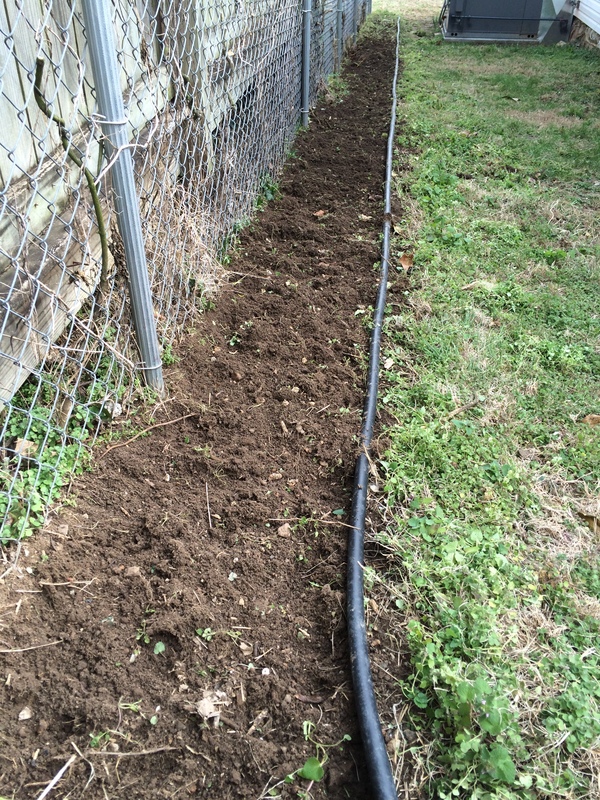 Soil has been tilled and beds have started to sprout. Nearly 100 peas are popping along the north fence(planted mid-March), raspberry canes are standing tall, and the fence line is ready for cow peas. The north side of the house awaits the Hurricane’s tomato and cucumber selections (with an emergent seeding of collards to hold us over) while the east hill is naked in anticipation of its strawberries. And the beds have not been forgotten, all of the following (with the exception of today’s additions) have sprouted. And here’s the best: our neighbor to the north, inspired by the Hurricane, has planted her first garden. I look forward to reading “Plants on Deck” I am in Daytona Beach Florida one block west of the beach. No vegetables, but I love flowers. Will you do flowers? For my area? Hot, sunny, direct sun, How do I sign up to receive your newsletter? Hi, Flory! I do love flowers, but my focus is primarily edibles so any flowers I plant tend to be hardy pollinator-attracting plants. I assume your soil is pretty sandy (mine is clay), so my low maintenance flowering success stories (blanket flowers, coreopsis, bachelor buttons…basically any wildflower mix) may not be yours. You can sign up for email notifications of new posts at the top right of the page.